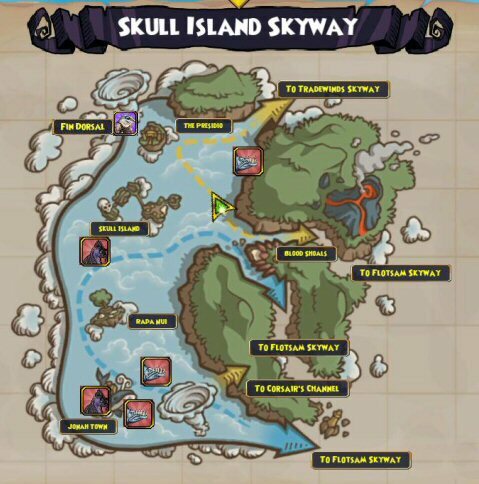 Welcome back to the world of Skull Island. Monquista was an interesting place, but you went there to negotiate a trade treaty. You’ll come back to Puerto Mico to finish out that quest, but you’ll also learn about some rumors that have been going on here in the Skull Island world while you were gone. 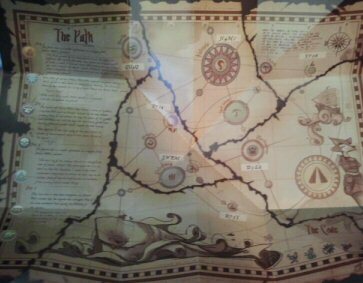 These rumors have put you in danger, but they are the beginning of your next quest and discovering the map that you supposedly already have in your possession. 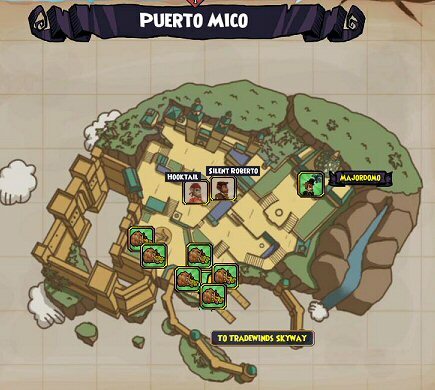 What map? Well that’s what you need to find out first. 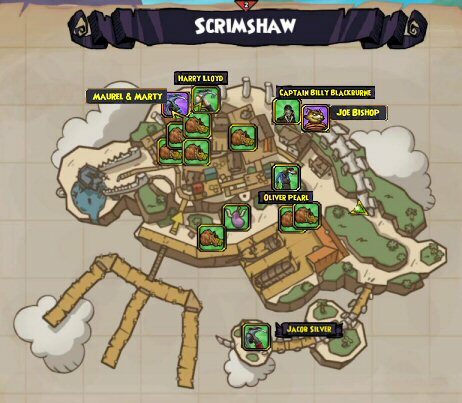 You’ll be sent to talk to One-Eyed Jack in Scrimshaw. Make sure you talk to the folk in the shopping district. They will give you quests that will earn you valuable companion training points. One-Eyed Jack will tell you about the rumors and who started them. Which will eventually send you on a hunt for my old friend Fin Dorsal. Yep, he’s at it again. Check his hide-out for the map. 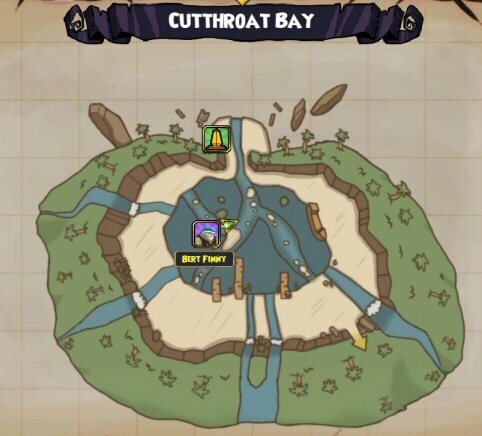 You’ll find Cutthroat Bay near Scrimshaw. It’s not a bad little place really. If it weren’t for the cutthroats anyway. Fin won’t be there, but you’ll discover where he’s gone. This time you’ll find him in the whirlwind near The Presidio. Next you’ll be sent to talk to Hooktail in Puerto Mico. Again check with the folk in the Shopping District to pick up a few quests that can earn you more Companion training points. Hooktail and his pal Silent Roberto (who isn’t so silent) will send you on another quest to prove yourself. When you do, you’ll be sent to find the next crystal for the Valencia Stormgate. Oh, and in order to help you out, Roberto tells you your little ancestral ship won’t get you through to Valencia. For that you’ll need a new ship. And he very kindly offers you his ship for the trip! She’s very pretty! 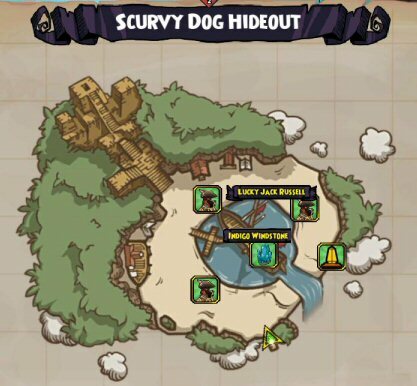 To get the stormgate crystal, you’ll have to go do some fighting in the Scurvy Dog Hideout. Yeah! Now you can get to Valencia. It’s a long trip. Be ready. 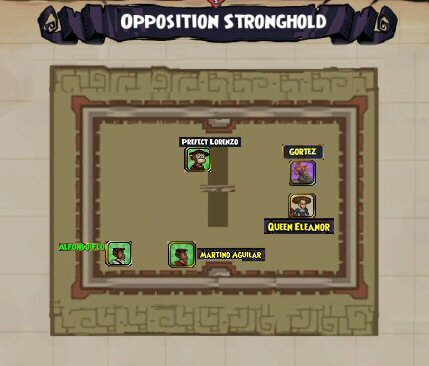 First you’ll need to go to Monquista where you’ll do a favor for Queen Elenanor and Gortez. Remember that big lecture you got way back in Jonahtown from the Frogfather’s conciliar about doing favors for a favor? So run off and help them out. While you’re doing that, they’ll prepare some passage papers for you. Once you have the papers, you’ll be off to..nope not Valencia yet. 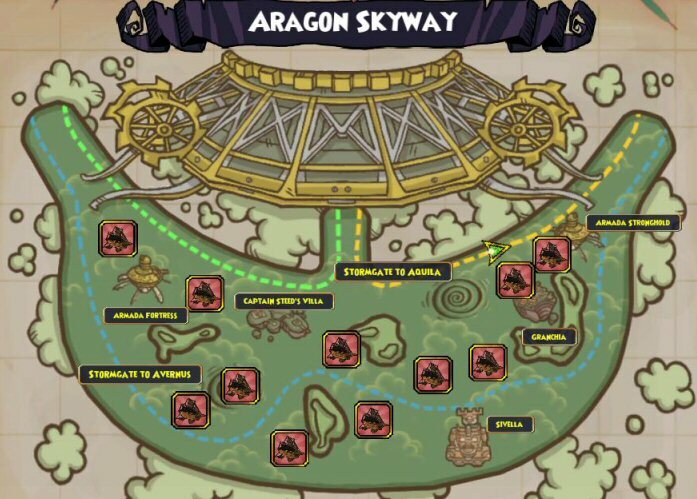 First you’ll need to go through Dragonspyre. It’s a ‘hot’ looking place. But it’s interesting to look around as you pass through. Be careful you don’t veer off to far from the windlane though. Some of those critters out there are pretty tough. Head on down the windlane and you’ll find the next stormgate to Valencia! Welcome my friend to Valencia and the Aragon Skyway!